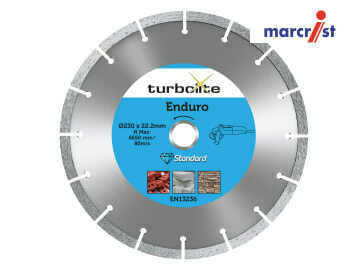 The Marcrist Enduro blades are suitable for cutting most building materials. These long life diamond blades are highly durable and provide an aggressive cut. The Standard Enduro blades are an entry price segmented blade, with a 7mm diamond segment. Suitable for both angle grinders and saw tables. Conforms to EN13236 and ISO 9001 standards.